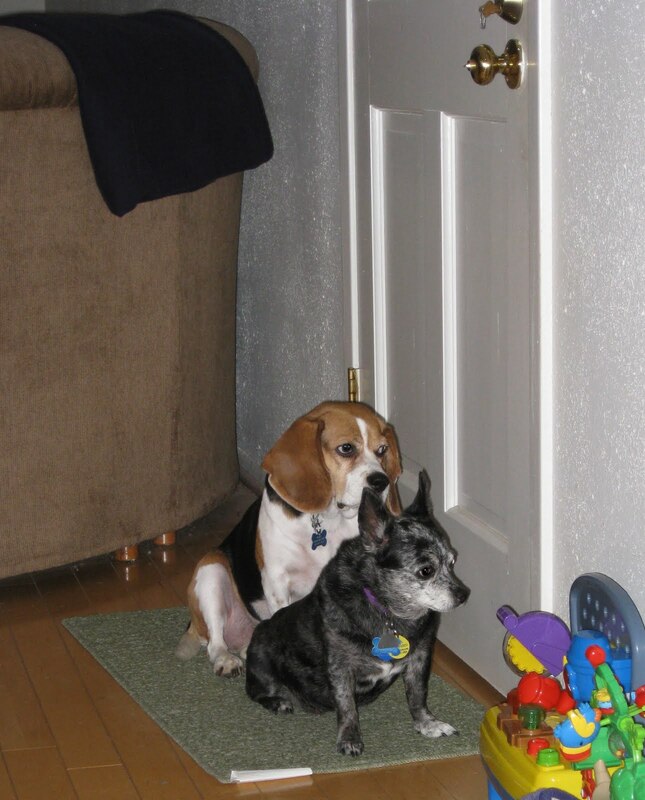 Frida and Paddy are pictured on Friday, October 29 waiting to go outside and bark. Sometimes they stick together, but other times they like their space. They are a funny pair. Alex is pictured on Sunday, October 31 in his Halloween shirt, which says, "All My Friends Are Monsters." He had fun playing with the shape shorter. I put it away months ago when all he would do is chew on the shapes. He is much better at shorting them now.